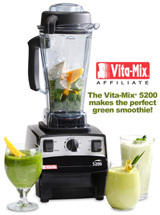 Ok, yes…I’m addicted to Vive Le Vegan. It’s so great! I made this tonight to dip some chips in…and it’s completely addicting. After I looked at the recipe again, I realized I forgot the tahini (kind of an important thing!) and it was STILL great. Don’t EVER buy hummus from the store again…this is the best recipe I’ve found! Entry filed under: Appetizer, Hummus, Most Requested. Hmmm, I love hummus. I made some this week, and my recipe is a lot like yours, only it include cilantro. So tasty! I’ll have to try making your Oat Bar in the post below! I am soooo making this to take to my synagoge this week! Yum! Ooohh…that’s awesome. I love hummus but hadn’t found a recipe yet for it. You rock! OOO…will have to try. Most recipes we have use canned chick peas and I hate canned chick peas. Even Randy’s recipe from his middle eastern friend, written in Arabic from his mama – uses CANNED chick peas. what’s up with that? This is quite like my hummus recipe — I can’t stand tahini, and prefer toasted sesame oil in mine as well. Much more flavorful! we are having a holistic moms network potluck tonight so i am going to bring along some of this hummus! 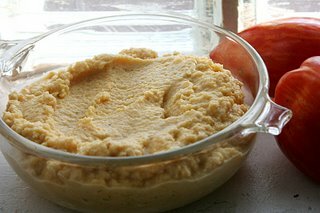 i have always bought mine but had some homemade hummus recently at a local mediterranean restaurant and it was spectacular. i could never eat the store-bought stuff again! this looks like a good recipe! congratulations for your blog! ever since i found it, i became a regular visitor!!! !I am vegetarian and love to cook!!! try to add some nori seedweed to the blending! gives a wonderful sea tast to it!!! !